I have my PC hooked up to speakers and a monitor. In addition, it is hooked up to my Vizio 37' LCD Television. When I was on Windows 7, I could choose to output sound via HDMI. 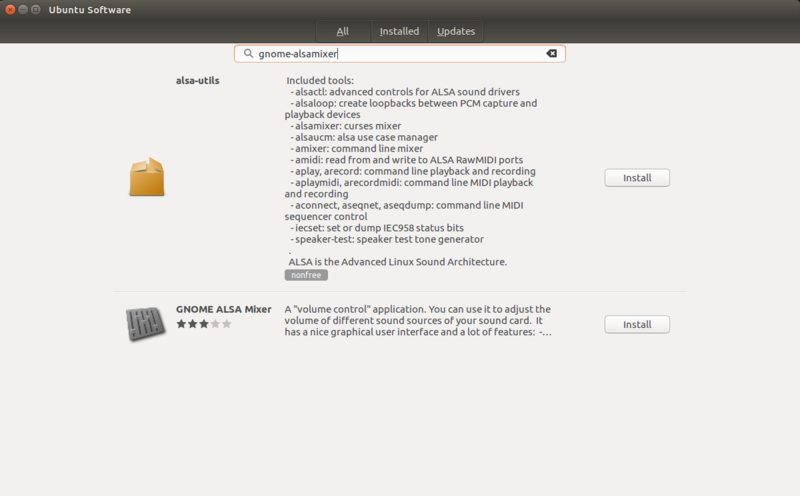 I have the choice in Ubuntu but no sound is outputted. Any Ideas? I don't know how to get system specs on Ubuntu so if you need them please tell me how to get them. That was all I had to do to get it working. If it doesn't work for you, check out this tutorial for upgrading alsa to the ppa version. In tab Configuration select profile mentioning HDMI. The desktop sound output should immediately switch to HDMI. I have had similar problems, and all the forums I could find were talking about PulseAudio and AlsaMixer. None of those solutions worked for me. I finally found my solution in updating my Graphic Cards driver from which the HDMI cable was connected following the steps here. You might not have the same grapic cards or any but you might give it a try to update your driver. 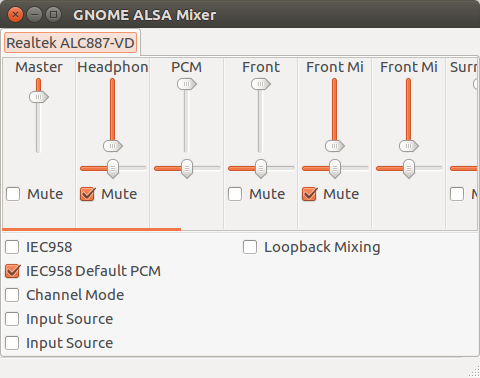 Install GNOME alsa mixer which is in the universe repository (activate the universe repository in your software sources by running Software & Updates and insuring the 2nd box from the top is checked) then Install via Ubuntu software. unmute everything by clearing the mute checkboxes , then check the IEC958 checkbox. Not the answer you're looking for? Browse other questions tagged sound hdmi or ask your own question. Sound is working, but not playing? How do I output audio through HDMI?